We are in the season of wishes, and it is a wonderful time of year. You can wish for a specific gift, and many times someone will give it to you during the holiday season. A wish, however, depends on someone else and their desire to give or help you get what you want. A goal is something you can only provide for yourself, and therefore it must be followed by action. You're possibly reading this because you "wish" that you could have your own business doing what you would enjoy doing. What do you want to happen as you look ahead to 2018? What are some of your goals? Perhaps one is indeed to start your own business, and maybe even become part of a franchise system. As you write them down, require yourself to put at least one action you must personally take to begin working towards it becoming a reality. It doesn't matter how small some of the actions are, just that they happen to get the process moving. A very easy example is to request information, speak with a representative, or reach out to those already doing what you'd like to from a particular organization. If you cannot do this simple thing with any of the items on your "goal" list, or frankly if you are just not willing to, then move them to a second list called "wishes". It's a great, simple way to hold yourself accountable and focus on the things you are willing to make happen versus those you hope to see wrapped up in a pretty bow. 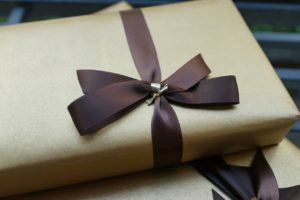 Nothing wrong with gifts and wishes, but they are indeed out of your control. If you truly want to label something a goal, then by default that comes with a requisite action. Take action, then perhaps another, but don't be less than one.